Super Wednesday Night Raffle! Tickets on sale every Wednesday from 5:30pm. Drawn at 7pm. 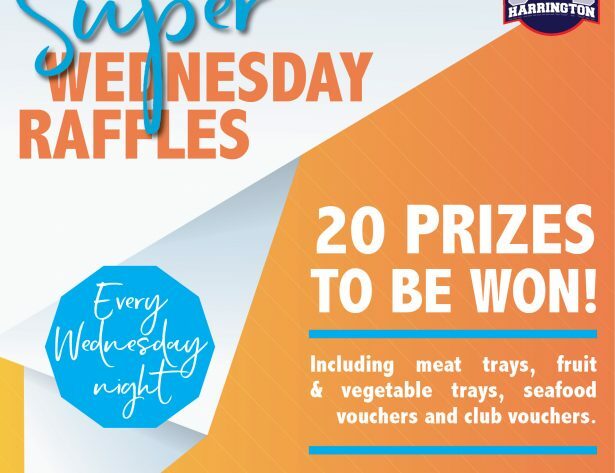 20 prizes to be won including meat trays, fruit & vegetable trays, seafood vouchers and club vouchers.